Feldspar is one silicate minerals which contains calcium, sodium and potassic. Populary speaking, feldspar is divided into two kinds: orthoclase (potash feldspar) and anorthose. The difference between them is the splitting included angle, orthoclase 90 degree and anorthose smaller than 90 degree. Impact crusher for crushing feldspar includes traditional impact crusher and hydraulic feldspar impact crusher. Feldspar cone crusher includes cone crusher, spring cone crusher, hydraulic cone crusher and so on. During feldspar crushing plant, YIFAN can also supply vibrating feeder, vibrating screen, belt conveyor and feldspar washing machine. Feldspar crusher is your best choice in feldspar curshing plant and feldspar mining industry. Feldspar crushing plant consists of primary crusher, secondary crusher, vibrating feeder, vibrating screen and belt conveyor.Big size feldspar are transferred to primary crusher through vibrating feeder from hopper for first crushing, then the crushed materials are transferred to impact crusher or cone crusher through belt conveyor for secondary crushing. The materials crushed will be transferred to the vibrating screen, and separated to different sizes. 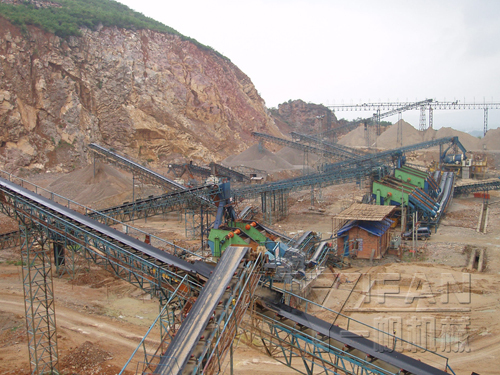 The final crushed feldspar with suitable size will be transferred to the final product pile and feldspar with unsuitable size will be transferred to the secondary crusher for re-crushing. 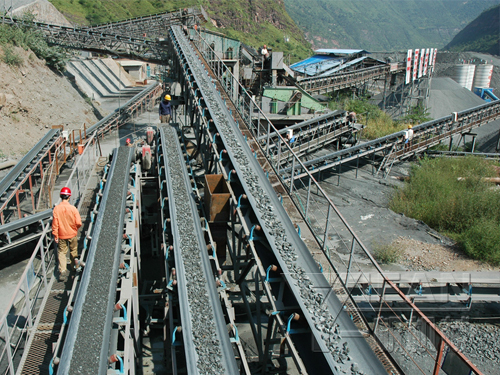 The following is the common feldspar crushing plant. Vibrating feeder as feeding feldspar rock to crusher + Jaw crusher as primary crusher + Hydraulic Cone crusher as secondary crusher + VSI crusher as reshaping machine + vibrating screen to sieve the final products.